Whether it’s a fantastic $3 ballpoint pen, or the multibillion-dollar Shanghai Tower, great design is not tied to a price tag. It might surprise many readers of The Absolute Sound to know that what gets the juices of many audio industry veterans flowing is not simply the “reference” gear priced beyond the reach of most everyone, but instead the equipment at all price points that demonstrates its designer’s superior talents. Exceptionally designed things are frequently easier to recognize than to quantify as such. We can describe them as objects. We can describe how they function. We can describe how they make us feel in use. There are magazines dedicated to each. Great design, however, is reserved for objects that transcend mere attributes. Great designs are ones where all the elements disappear into a functionality that is artistic and inspirational. With a well-designed audio component, you listen through it, not to it. The thing disappears into its purpose. Bowers & Wilkins (as of a few years back, no longer officially B&W, so I’ll try to avoid that) is a diversified audio company. It makes the 705 S2 speakers here in front of me, the wonderful audio system in my brother’s Volvo XC90 (love that interior! ), Zeppelins for your kitchen, headphones for your head, speakers for your boat; it even brings new music to your home through its Society of Sound. To borrow the credit card slogan, it’s everywhere you want to be. Strangely however, even though I haven’t known an audio landscape without Bowers & Wilkins (it was founded in 1966, me in 1967), I have never owned nor sold new any of its speakers in my retail days. For someone who has been in the industry for 20-odd years (and they have been odd), I come to an evaluation of one of its products about as fresh as one can. My overall impression is that it is a company doing fundamental research with the goal of building a better mousetrap. The mousetrap in front of me for this review is a member of the shiny, brand-new 700 Series—the 705 S2. Alan Taffel did a very nice overview of the launch of this series in TAS Issue 277, reporting on his visit to its facility near Boston. I would encourage you to revisit his report for further information and his impressions of the 705 S2 and other 700 Series models. As I live within about 45 minutes of these North American headquarters, I also recently made the trek, and some of my findings will be sprinkled in here. Effectively, the 700 Series 2 loudspeakers take the outgoing and long-lasting CM Series cabinets and change everything else. Since the introduction of the iconic 801 in 1979, the 800 Series has continuously held the position of Bowers & Wilkins’ top reference speaker line (with the exception of a few one-offs like the Nautilus). As you might imagine, the next-in-line 700 Series 2 incorporates many of the technologies developed for the current 800 D3 (more on that in the Technically Speaking sidebars). 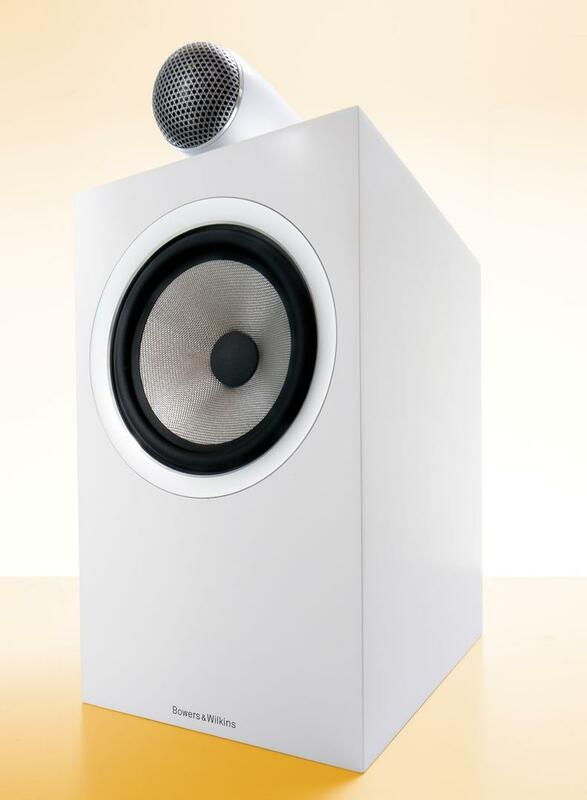 There are three floorstanding, three bookshelf/monitor, and two center-channel speakers in the 700 Series 2 lineup, ranging in price from $1200/pair for the smallest monitors to $4400/pair for the largest floorstanders. The 705 S2 under review is the top bookshelf/monitor—the one with the cherry (I mean tweeter) on top. It is priced at $2500/pair, with companion FS-700 S2 stands (sand-filled by the vendor) at $500/pair. My 705 S2s were white speakers on silver stands. Clean. Modern. Purposeful. I enjoyed them as objects. Packing and included materials reminded me that this is a company that has been doing it for some time. You know…professional. Now on to some music already.